Thank you, thank you frozen banana for creating a faux ice cream that’s heavenly. 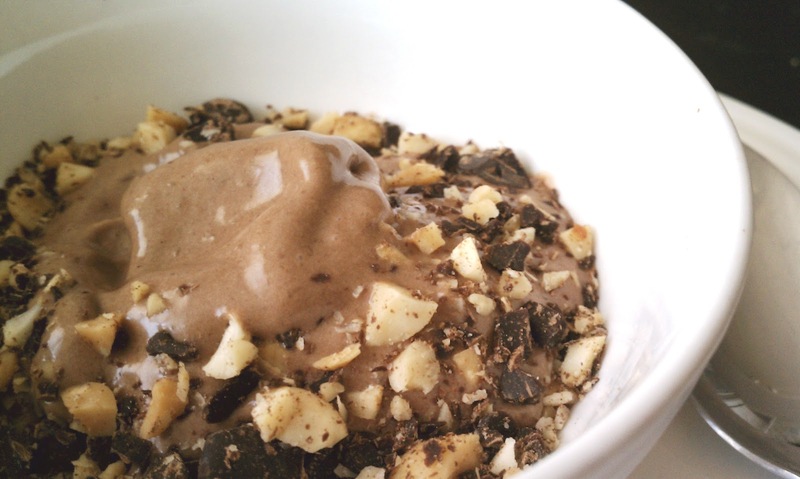 It’s guilt-free and so easy to make! First and foremost, your banana is the sweet in this recipe is so make sure it’s ripe to the point of being slightly spotted. The more ripe the more sweet it will be. The peanut butter and cocoa amounts can be adjusted to suit your tastes but be careful not to add too much almond milk or you’ll end with a smoothie. If that happens, simply add some more frozen banana slices or pop it in the freezer until it firms up. I like to top mine with chopped peanuts and chocolate chips. You can watch me make it in this video or see recipe below. 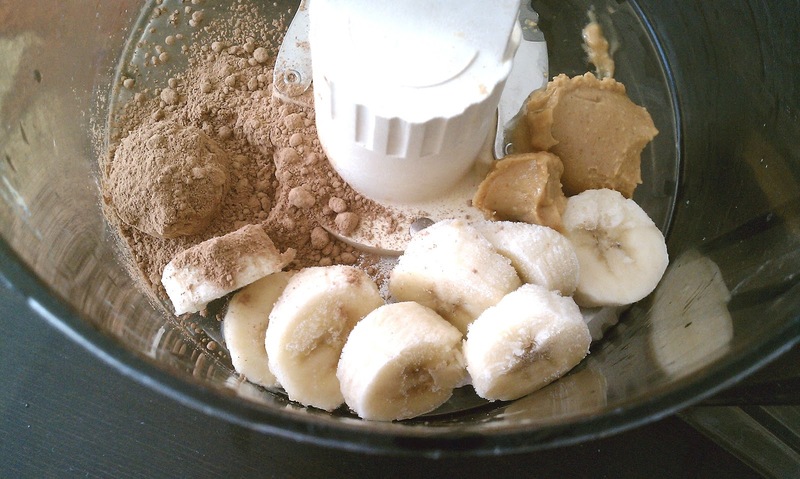 Add banana, peanut butter, and cocoa to a food processor. Turn on and then add 1 tablespoon of almond milk through the feed tube. The mixture should start to come together. Stop and check it, scraping down the sides if necessary. Add additional tablespoon of milk if needed. 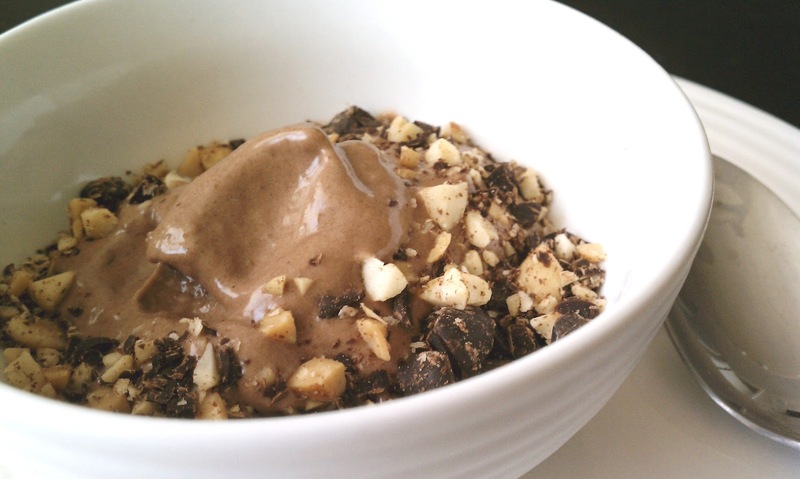 End product should be like soft serve ice cream.